The charming and beautiful island of Gozo is one of the Mediterranean’s most sought-after travel destinations, and it’s not hard to see why. This picturesque island is unlike anything you’ve ever experienced before, and it definitely has it all; the sun, the sea, the sand, delicious cuisine, cultural relics, amazing people, and more water activities than you can throw a stick at! And you can stay in an outstanding accommodation: A luxury farmhouse in Gozo for rent. things to try when you’re in Gozo, including a diverse range of activities that allow you to get a real sense of what this island is all about. There are many nice beaches around Gozo that you can visit to enjoy a nice refreshing and relaxing swim. Hondoq Bay and Xlendi are both great options for swimming; you can literally spend the entire day going in and out of the water without even noticing the time pass. On the other hand, there’s Ramla Bay, which is the island’s only sandy beach, with soft yellow sand that literally sinks between your toes as you walk along the shore. Thanks to its idyllic setting, coupled with the soft sand and warm clear water, Ramla Bay is arguably the most popular beach in Gozo and can get quite crowded during the peak summer months. However, we still think it’s the best spot to soak up some sun, swim and even make new friends from around the world. While here, you can even rent one of the umbrellas or loungers so that you can spend the entire day tanning, reading or just chilling along the shore. The best part about Ramla Bay is the fact that it has a few cute bars that you can go to for sundowners, while the resident ice cream truck is a delightful attraction for both kids and adults. The beautiful thing about Gozo’s beaches is that the water stays warm and crystal clear all year round, which makes swimming here during the winter a once-in-a-lifetime experience. Take a day trip to Victoria and see the Citadel or Citadella, as it’s commonly referred to by the locals. This famous monolithic structure sits at the very center of Victoria and holds a great deal of history. It’s one of the oldest inhabited cities in the world, with a history and culture that dates back to the 16th century, when it was still known as the Gran Castello. The Citadel’s battlements offer the most incredible panoramic views of Gozo, while the tunnels underneath are a fantastic demonstration of the structure’s strong foundations, as they were built along with the first fortification in the 1500s. The Cathedral of the Assumption is another of many beautiful sights to see within the Citadel and features very well-preserved architecture and décor. Diving enthusiasts from all around the world visit Gozo each year to experience the marvelous diving adventures on offer. 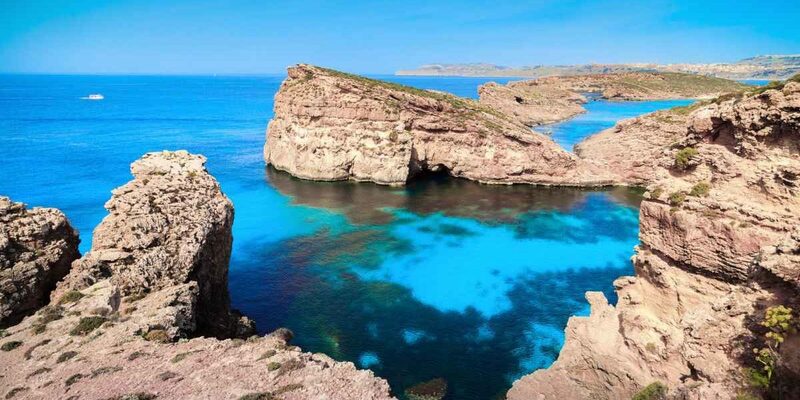 That’s because underneath the shores of Gozo is a wealth of marine flora and fauna, as well as numerous vine covered shipwrecks, caves, and rocky seabeds. Underwater explorers also have the opportunity to make contact with eels, dolphins, parrot fish, stingrays, octopi, and many more fish species. Caving, or cave diving, is another popular phenomenon among divers in Gozo, simply because the island offers so many cave diving options than anywhere else in the world. Some of the most popular include Billinghurst Cave, Shrimp’s Cave and Coral Cave. Each of these caves offers different depth levels, and some are suitable for novice divers and experts alike, while others require the stealth of a more seasoned diver. Splashed within the arches and caves is an assortment of vibrant corals in a wide kaleidoscope of color that makes for one of the most spectacular underwater views ever. Some of the best diving spots to explore include Dahlet Qorrot, Wied il- Ghasri, Coral Cave and the Blenheim Bomber wreck, which is from a WW2 English Air Force crash. Due to the growing demand for diving tours and courses, a whole host of diving centers has mushroomed in Gozo, attracting both novice and experienced divers. Most of these centers offer a combination of diving related services, including guided underwater tours (with gear included) and internationally recognized diving courses offered by the best in the world, and all at very reasonable rates. If you’ve ever wondered where salt comes from, then a visit to the Salt Pans on the north coast of Gozo is your opportunity to find out. These natural rock formations are a marvel to behold, and at over 350 years old, the salt pans are an indelible part of this region’s history, with most of them having been passed down from one generation to the next by the families who harvest them. To truly appreciate the history tied to this incredible sight, we highly recommend a visit up one of the rocky caves, where you can share an enlightening conversation about the history of the place with some of the harvesters, and while you’re at it, be sure to purchase a few bags of sea salt to take home as an edible souvenir. You’ll also have the opportunity to watch the ancient salt processing method, which involves taking the salt from the pans to the caves which are dotted along the coast for storage and processing. Did we mention how astoundingly beautiful the scenery surrounding this area is? Let’s just say, you’ll probably leave with more than just a few Instagram-worthy snaps after visiting these Salt Pans. What most people don’t know is that you can literally tour the entire island of Gozo with a quad bike. This unique, three-hour ride is a fun way to explore parts of Gozo that you may not be able to reach on foot or when traveling by car. If you’re a real adventure seeker (and have a bike driving license), then you can totally rent your own bike. The Xlendi area is the epitome of Mediterranean style and ambiance, and it features picturesque grottos that are just begging for exploration, as well as a gorgeous beach that is flanked by charming ocean front cafes which serve the best in local Gozitan cuisine and Mediterranean delicacies. The water-sport scene in Xlendi is also quite intense, making it the perfect stopover for avid surfers and divers. When in Gozo, it certainly helps to throw all caution to the wind, because it’s definitely not the place to be if you’re watching your diet or calories- the food is just too good! In fact, the cuisine here features some of the most distinct flavors and unique textures that you’ll ever come across and is a combination of Maltese and Gozitan flavors, with a fusion of traditional Mediterranean cuisine as well. Visit Ta’ Rikardu restaurant to experience an authentic Gozitan platter, or try the special recipe ravioli, which is made with fresh goat’s cheese from the owner’s own flock. Zafiro Restaurante on Xlendi’s beachfront is another amazing eatery that you should totally add to your itinerary during your trip, especially for lunch or dinner. 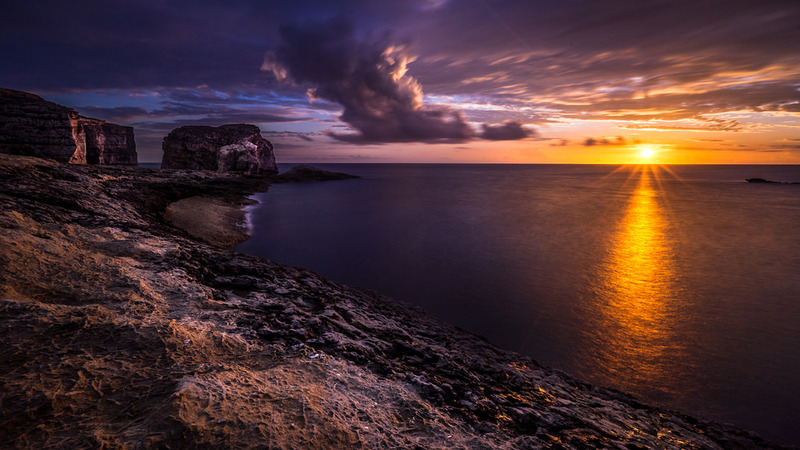 Gozo is a haven for history buffs, as it contains some of the oldest megaliths known to man, as well as a rather impressive collection of UNESCO Heritage Sites. There’s the massive 5500-year-old Ggantija Megalithic Temple which features Victorian writing and dates back to 3600 BC- older than the Egyptian pyramids and Stonehenge. The nearly 3000-year-old Calypso’s Cave which appears in Homer’s The Odyssey, is another popular site, as is the Dwejra Tower, which was built by the Order of Saint John in 1652 and has been recently updated to include a modern restaurant that serves traditional Maltese fare. In a nutshell, Gozo boasts some really old archaeological sites and temples, some of which date as far back as the Neolithic Age, and has preserved its heritage really well for the benefit of modern locals and tourists alike. If you really want to experience the everyday Gozitan culture, then you should visit the It- Tokk, aka the meeting place, which is a daily market that brings together Gozitans from all around the city between 6 am and 2 pm. Just be sure to make it there early to see the best that this market has to offer, including fresh local produce as well as quaint souvenirs that are unique to the culture and heritage of Gozo Island. This scenic resort along the Gozitan coast is a summer haven for many of the Maltese families who have summer homes here. It is also a popular tourist destination that’s known for its spectacular beach and promenade, which are further accentuated by the region’s resplendent weather. The summers here are spent sunbathing on the rocks and boulders along each side of the bay, or swimming deep into the crystal clear water where you’ll find fish of different sizes and colors swimming beside a backdrop of gorgeous coral. Boat trips from Marsalforn to the Blue Lagoon and Comino are considered to be legendary experiences, while water sports enthusiasts can enjoy snorkeling and diving from the many dive sites on offer. This resort village also offers a variety of accommodation options, including hotels and self-catering apartments, as well as restaurants and bars. By the way, don’t leave Gozo without using the Hop-on Hop-off Bus. This is an ideal mode of transport for tourists, as it offers an efficient and cost-effective way to see all the sites offered by the island. All of the buses are really neat and comfortable, and most of them even have an open top for you to take pictures as you drive through the interesting streets. 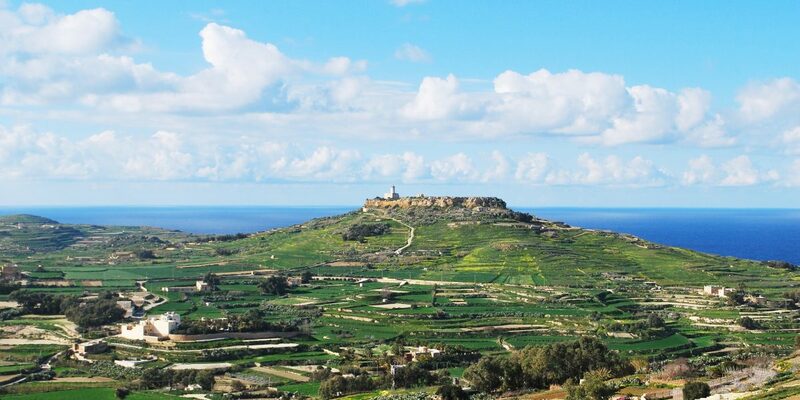 Enquire here if you want to book a tranquil farmhouse in Gozo.